Don't take our word for it! Below you will find reviews from verified customers about Quickstart Buttons. This is a great extra, I've been creating button's ever since Christian's original intro and Steve King's dev site from last MODXpo - so this just gets things off to a start nice and easy. Very handy extra, everything works great apart from I can't get multiple sets to work, only ever shows the first one. It would be great if there were a few more icons to chose from e.g there us no edit icon. There were so many complains from clients saying "I don't know what I have to do when i want to..." - but this extra should help them a lot! 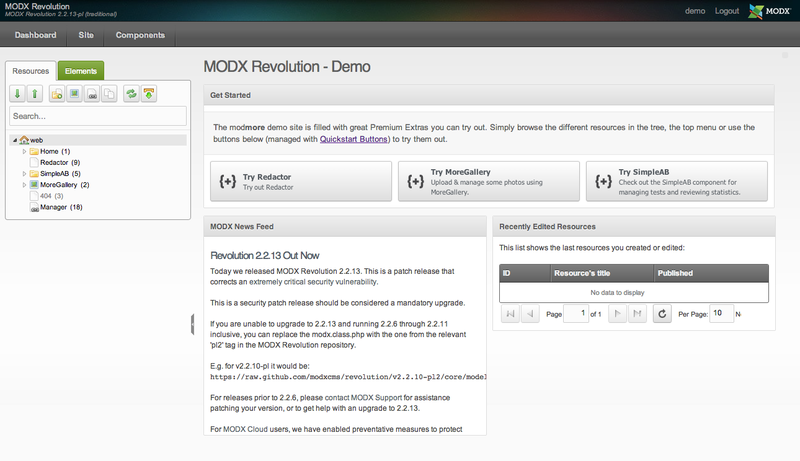 A great step to user-friendlyness in modx! As every addon, that modmore produces, its still amazing, it works, its easy and intuitive tu setup and usage is a snap. Five stars! And another sixt star for the price! *We reserve the right to remove reviews that are: 1) not related to Quickstart Buttons, 2) submitted by users that have not purchased or used Quickstart Buttons, 3) offensive to our users or 4) otherwise break moral decency rules.